Add a finishing touch to your home with our extensive line of hardware, maybe a cast aluminum mailbox, or perhaps a door mat. 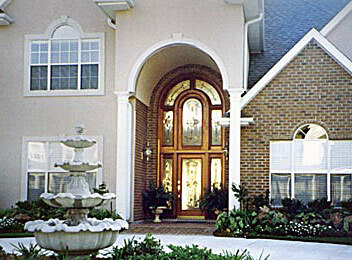 At Doors of Elegance we try to anticipate every need that our clients will have and work diligently to meet those needs. To do this we provide a wide selection of both quality products and convenient services, everything needed to create a new entryway or renovate an existing one. In addition to our various top-of-the-line door and hardware lines, we offer our customers expert consultation and measurements, advice on stain color when needed, and can provide professional qualified installers for a perfect installation every time.